"Remembering God's Promise," Kathryn Matthews, UCC Sermon Seeds, 2019. "Beloved Son, Delightful Servant," D Mark Davis, raw translation and exegesis/questions, Left Behind and Loving It, 2013. The Lectionary Lab, Baptism of the Lord, the Rev'ds Dr. John Fairless and Delmer Chilton (aka "Two Bubbas and a Bible"), 2013. Lectionary Lab Live podcast. The Adventurous Lectionary, Baptism of Jesus, Bruce Epperly, Living a Holy Adventure, 2013. Girardian Reflections on the Lectionary, Epiphany 1C, by Paul Nuechterlein & Friends. Rumors, for January 10, 2010, Ralph Milton, "Sermon helps for preachers with a sense of humor." "The Power of 'You'," Karoline Lewis, Dear Working Preacher, 2019. "Forgiveness...and So Much More!" David Lose, ...in the meantime, 2019. "How Purpose Reveals Itself," Melissa Bane Sevier, Contemplative Viewfinder, 2019. "Who and Whose," Jessie Larkins, Ekklesia Project, 2019. Living by the Word, Joanna Harader, The Christian Century, 2019. Humility, Connections: Next Sunday Resources, 2019. "Giving Strength," Melissa Dow, Political Theology, 2019. "Choosing Epiphany," Debie Thomas, Journey with Jesus, 2019. 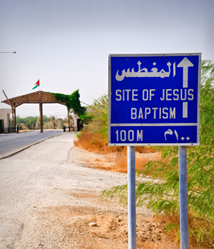 "The Baptism of Herod or Jesus?" Andrew Prior, 2019. "Baptismal Epiphanies," Karoline Lewis, Dear Working Preacher, 2016. Expecting the Messiah, David Lose, ...in the meantime, 2016. Thin Place, Deep Water, Debie Thomas, Journey with Jesus, 2016. "Baptism as Initiation: The Start of Something New," Janet H Hunt, Dancing with the Word, 2016. Dear Working Preacher Karoline Lewis, Dear Working Preacher, 2016. "Wind and FIre," Glenn Monson, Law & Gospel Everywhere, 2016. A Poetic Kind of Place, Andrew King, 2016. Unplumbed Depths, Scott Barton, lectionary poetry, 2016. "Preaching a More Meaningful Baptism," David Lose, Working Preacher, 2013. "When Trite Is Also True," Epiphany, Dan Clendenin, The Journey with Jesus, 2013. 2007. "Diving for Our Destiny," Peter Woods, I Am Listening, 2013. "Over All the Earth," Alan Brehm, The Waking Dreamer, 2013. "Remember Your Baptism and Live It," Sharron R. Blezard, Stewardship of Life, 2013. "The Gap Between Expectations and Experience," Peter Lockhart, a different heresy, 2013. "Chosen and Marked by Love," Neil Chappell, a weird thing, 2013. "God Is Well Pleased with Who?" Steve Godfrey, Church in the World, 2013. "Risky Waters," Heather Carlson, Ekklesia Project, 2013. "With Water and With Spirit," Robert Cornwall, Ponderings on a Faith Journey, 2013. "On Taking the Watery Plunge," Michael Coffey, 2013. "You Are Mine," John C. Holbert, Opening the Old Testament, 2013. "A Bridge to New Life," Christopher Burkett, PreacherRhetorica, 2013. "Called and Loved," Todd Weir, bloomingcactus, 2013. "Paper, rock, scissors: water, Spirit, fire, Baptism of Jesus C," Peter Woods, I Am Listening, 2010. "God, in Christ, Has Earned it For Us," Halden Doerge, The Ekklesia Project, 2010. "What Made Him Do It?" by Jim Somerville. A Sermon for Every Sunday. Video sermons from America’s best preachers for every Sunday of the Liturgical Year. "For Your Ears Only," by Jim Somerville. A Sermon for Every Sunday. Video sermons from America’s best preachers for every Sunday of the Liturgical Year. "Swimming with Jellyfish," Sally Haynes, Day1, 2019. "Does Baptism Matter?" The Rev. Dr. Michael Brown, Day 1, 2013. "God Believes in You," the Rev. Dr. Joanna Adams, Day 1, 2010. "Baptism-Shaped Life," the Rev. Dr. Barbara K. Lundblad, Day 1, 2007. "Remembering God's Promises," Weekly Seeds, UCC, 2019. The Text This Week's Epiphany Resources Page includes links to artistic images of the Baptism of Christ. Worship Resources for Baptism of the Lord, Rev. Mindi, Rev-o-lution, 2019. Mustard Seeds, Baptism of Jesus C, 2019. A lectionary-based ideas resource for leaders of contemporary worship, Ann Scull, Gippsland, Australia. Lectionary Liturgies, Baptism of the Lord, 2010, Thom M. Shuman, Presbyterian Church (U.S.A.). Worship and Liturgy Resources, Epiphany 1, by Rev David Beswick, Uniting Church in Australia. Lector's Notes, The Baptism of the Lord, Year C, Gregory Warnusz, Saint Jerome Parish, Bellefontaine Neighbors, MO. Notes and commentary for those reading this week's lectionary texts to the congregation. The Timeless Psalms: Psalm 29, Baptism of Jesus, Joan Stott, prayers and meditations based on lectionary Psalms, 2013. "Service Prayers for the First Sunday after Epiphany," Worship Ways, UCC, 2019. Prayers of the People, Baptism, Lowell Grisham, St. Paul's Episcopal Church, Fayetteville, Arkansas, 2013. "Luggage Tag," video, John Stevens, Dollar Store Children's Sermons, 2013. "Spirit of God,” an original hymn by Carolyn Winfrey Gillette, celebrating biblical stories of the Spirit from creation, through the prophets, Jesus’ baptism, Pentecost and today. Tune: O QUANTA QUALIA (11.11.11.11) (“God of Compassion, in Mercy Befriend Us”). This hymn is in Voices Found: Women in the Church's Song (Episcopal) and is also an anthem from the Choristers Guild. "Be Still, Remember," an original hymn text by Lisa Ann Moss Degrenia. The Psalmistry: Psalm 29 - All Psalms Music: original Christian sheet music, lyrics, guitar chords, midi, mp3 files for all 150 Psalms. Hymn and Song Suggestions, Baptism of Christ, 2013, annotated suggestions from Natalie Sims, Singing from the Lectionary. Worship Resource Manual, The Moravian Church, Southern Province. Worksheets for planning music in worship: hymns, anthems, solos, organ repertoire suggestions for RCL texts. Direct link to The Baptism of our Lord. Choral Anthem Project, Baptism of the Lord, National Association of Pastoral Musicians. Lectionary Hymns, Baptism of the Lord, National Association of Pastoral Musicians. Worshiping with Children, Baptism of Our Lord, Including children in the congregation's worship, using the Revised Common Lectionary, Carolyn C. Brown, 2013. "Including Children in the Baptism of Other Children." Story for Children's Worship and Family Activity, Baptism of Our Lord, at word-sunday.com: A Catholic Resource for the Lectionary by Larry Broding. "The Baptism of Jesus," Dianne Deming, Children's Sermons Today, 2013. Children's Sermon, Faith Formation Journeys, 2019. "Something So Common," On the Chancel Steps, children's resources by Frances Woodruff, 2013. Weekly Devotions, Faith Formation Journeys, 2019.